I was recently sent another product from Naipo, purveyor of some pretty fine massager products. Here we have a vibrating seat cushion, which is a little bigger than the others I've reviewed, but one I was excited to try out. 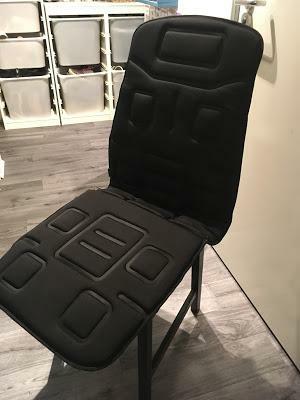 This cushion contains eight vibrating massage points, as well a heat function, because heat is always good. Portability is the main selling point with the cushion, as it even comes with a car charger in the box. 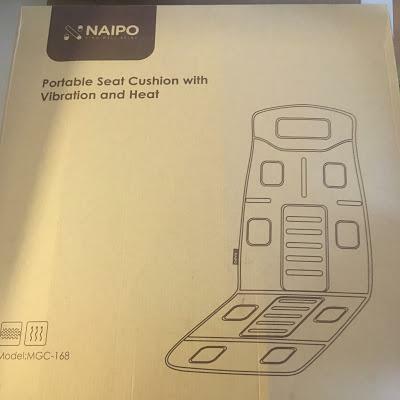 Well, portable it is, it's very slimline, I'm surprised they've managed to fit all the vibration and heat pads into such a small space, while still making it comfortable to sit on. The cushion is easy to fold up, and comes equipped with straps to make it easy to put onto any seat you desire. Or you could just lay it down in the bed and do it that way, it's very versatile. So let's get down to the massage itself. This cushion comes equipped with a rather comprehensive remote, which provides a lot of options. You can choose to focus on one or many of the four areas, so you can go for purely upper back, or just turn on everything and get all over vibration. There are also preset programs, which cycle through the areas, ramping up in intensity and slowing down, and just leaving the cushion to do its stuff lets it cycle through every program and gives good all over coverage. You can turn the heat on and off, change the speed of vibration, there's as much versatility in the remote as there is in the cushion itself. I really like this cushion, you can put it pretty much anywhere, and it's slimline enough to pack away when not in use. 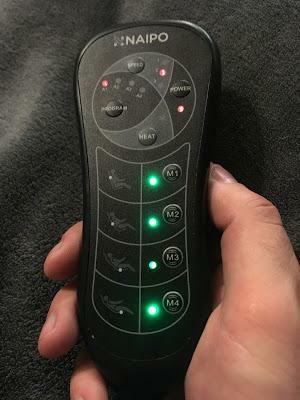 The remote has a wide variety of options, and it provides a pretty decent massage. What I would say is that this doesn't give as deep a massage as other products, there are no kneading nodes, it's pure vibration. But what this lacks in deep tissue massage, it makes up for in portability and versatility. I've tried a couple of massage cushions before, and this one is a fantastic lightweight option.